Super Smash Bros. Ultimate is finally here, and it’s the biggest installment of Nintendo’s hit franchise yet. With 108 stages, over 800 pieces of music, and a brand new story mode, this title is bound to keep both newcomers and veterans of the series busy for a long time. The highlight of Smash Bros., however, is the fighters, who span across numerous franchises from Nintendo and even a couple of third-party companies. 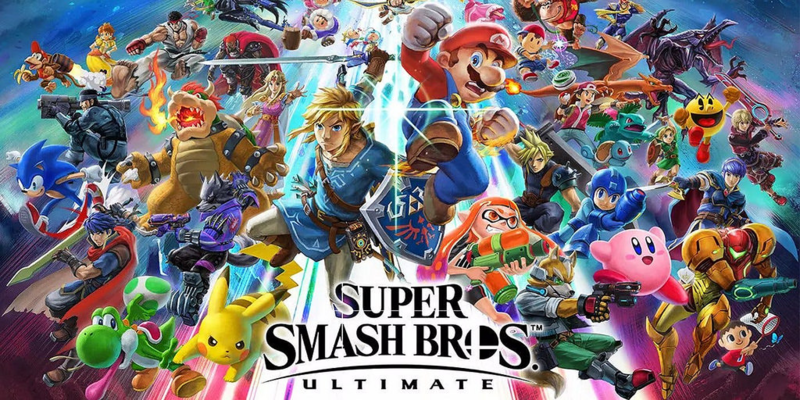 Ultimate’s main selling point is bringing back every single character that has ever been in Smash Bros. This includes characters who haven’t been in the series since Brawl, such as Metal Gear’s Solid Snake and Star Fox’s Wolf, and even fighters who have been lost since Melee, such as Pokemon’s Pichu. Even currently totaling at 76 characters, series creator Masahiro Sakurai still isn’t done bringing in new contenders, recently announcing Piranha Plant from the Super Mario series as the first fighter who is Downloadable Content, with five more on the way. With inclusions like Bayonetta and Snake, these five characters could be anybody, but here are five possibilities for these new additions to Nintendo’s fighting frenzy. 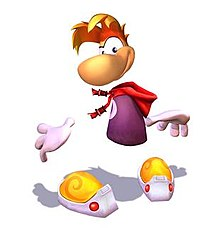 Hailing from his own hit platforming series of the same name, Rayman is one of the weirdest looking video game protagonists of all time, and his unique design would fit in perfectly with Ultimate’s quirky cast of characters. Getting his start back in 1995, Rayman has had a very nice history with Nintendo, with Rayman 2: The Great Escape being ported to several Nintendo consoles, and his latest title, Rayman Legends, received a re-release on the Nintendo Switch. One of Rayman’s main gimmicks is his floating hands, which he uses to punch enemies from long distances and move around in various ways to solve puzzles. 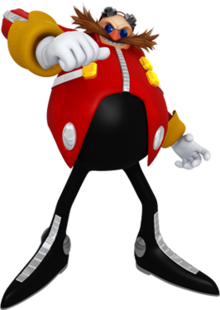 Another one of his unique features is his hair, which functions like a helicopter, that lets Rayman hover for a short time. Rayman’s long reach could come in handy for grabbing foes, much like Link’s Hookshot, and his flighty hair could make for a great recovery move. His series, especially Rayman Legends, also has some very catchy tunes that could be added alongside him. Rayman has been a highly speculated Smash Bros. fighter for awhile now, and this could finally be his chance to leap into some smashing action. 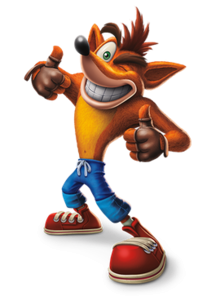 One of the Sony Playstation’s mascots back in the late 90s, Crash Bandicoot has enjoyed a fantastic resurgence with the Crash Bandicoot N. Sane Trilogy, full remakes of his three original games. Crash has such a goofy and likable personality, with many of his games giving the marsupial some very entertaining and cartoony animations. This could lead to some great interactions with other Nintendo properties, along with some hilarious taunts and movements. His moveset would have to include his trademark spin, which could also work as his recovery attack, akin to the Death Tornado Spin in Crash Bandicoot: Warped. Crash could also use the Fruit Bazooka (also from Warped) for long-ranged coverage, his belly flop, or get assistance from his faithful tiki mask companion Aku Aku in one way or another. Being a third-party character, it might be a bit hard for Nintendo to acquire the rights to the furry guy, but seeing as how Crash has enjoyed life on Nintendo consoles before, most recently with the N. Sane Trilogy on the Switch, it’s certainly possible this platforming icon could spin his way into Smash Bros.
One of Rare’s (formerly Rareware) most famous creations, the protagonists of the classic Nintendo 64 collect-a-thon Banjo-Kazooie are two of the most requested fighters for Smash Bros., and with good reason. Before being bought out by Microsoft, Rare made numerous games for Nintendo’s consoles, with Banjo-Kazooie and its sequel, Banjo-Tooie, being some of the most fondly remembered. Their games are bursting with personality, featuring a plethora of memorable stages and music tracks. This personality extends to the duo themselves, as it is very enjoyable to watch the snarky Kazooie play off of the kindhearted Banjo, and this chemistry would be amazing to see in modern-day graphics. The duo’s claim to fame is their arsenal of moves they can perform with each other, many of which would be perfect for Smash Bros. Just to name a few, there’s the Feathery Flap, in which Kazooie extends Banjo’s jump; the Beak Barge, which has Kazooie charge beak first into enemies; and the Talon Trot, which lets Kazooie carry Banjo at breakneck speed. Their Final Smash could even incorporate their various animal transformations or the Wonderwing that will turn the pair invincible for a short period of time. 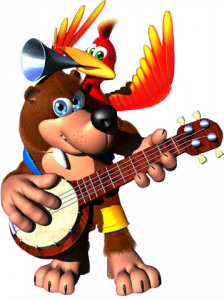 The possibilities for Banjo & Kazooie’s moveset is nearly endless, and hopefully the bear and bird can get one last hurrah on a Nintendo console. 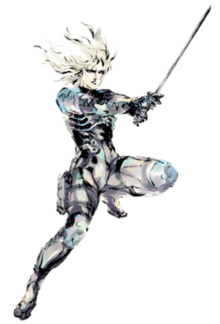 A major character from Hideo Kojima’s Metal Gear series, Raiden debuted in Metal Gear Solid 2: Sons of Liberty as the main protagonist, faking out audiences who were expecting more of series mascot Solid Snake. This left a bitter taste in fans’ mouths for the character, but after appearing in Metal Gear Solid 4: Guns of the Patriots as a cyborg ninja and receiving his own spinoff, Metal Gear Rising: Revengeance, Raiden became a fan-favorite because of his developed personality and spectacular combat feats. Raiden would work great as a speedy character, much like Sheik or Greninja, allowing players to get in a lot of quick combos and dodge enemy attacks with ease. Many of his techniques in Rising are just begging to get carried over into Smash Bros. This includes his parrying which could be used as a counter attack, much like the counters for most of the Fire Emblem characters. Blade Mode, which slows down time for Raiden to attack enemies with precision; Zandatsu, a technique that lets Raiden heal himself; and Ripper Mode, a state that will increase Raiden’s power tenfold, could also be incorporated into his moveset. His inclusion would also be an amazing opportunity to introduce the vocal tracks from Rising into the game, such as Rules of Nature, Stains of Time, and so on. The Metal Gear franchise really needs more representation in Smash Bros. besides Snake, and Raiden would be a great fighter to help with that. The five DLC fighters will be released periodically throughout 2019 and 2020, so all Smash Bros. fans should be on the lookout to see if their favorite characters made the cut. DLC packs can be purchased separately for $5.99 each, or all together in the Fighters Pass for $24.99. A special edition bundle of Ultimate can also be purchased on the Nintendo eShop with the fighter pass for $84.98. Happy smashing!